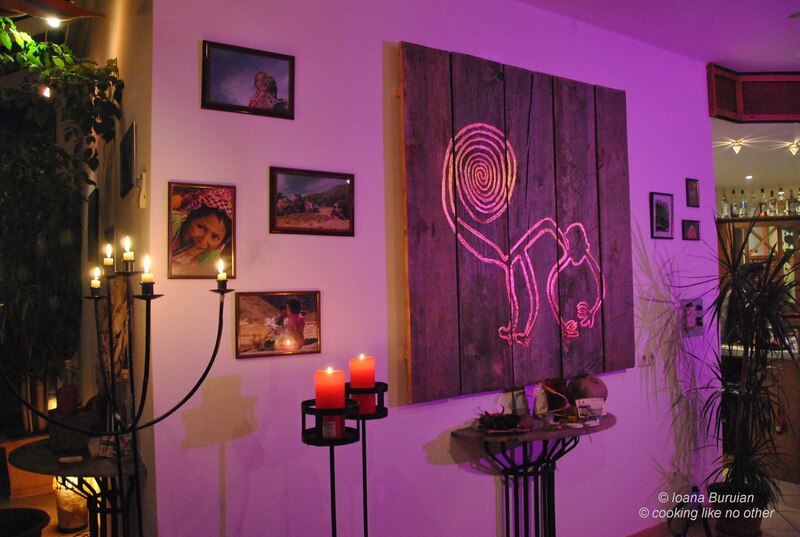 You can do it in Regensburg as well @ Pachamama! 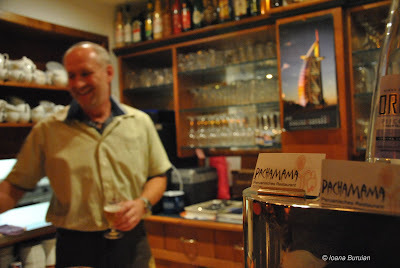 During a very spontaneous road trip to Regensburg – Germany, one of my friends invited me to try some new tastes. We were talking last week about what dish we would like to have and Betty’s answer was YUKA FRITA. But what is Yuka Frita? Yuka is a typical South American root vegetable and in this case is deep fried and served with Huancayo sauce. Usually, the root is cut into two- or three-inch chunks and deep-fried in vegetable oil. The result is similar to a wedge-cut french fry, but more fibrous than mealy. The sauce is creamy and it contains onion, fresh cheese, vegetable oil, aji, and maybe garlic – I’m not shore. It can be very spicy or mild, depending on the amount of aji (yellow pepper) you add. My picture is not the nicest but you can see how this dish is served by Pachamama. Of course I started to eat and after that I remembered that I have to take a photo. Daaahhhhh!!!! :)) Please don’t judge me but I was very curious about the flavors. I tried to recognize the ingredients and to associate the new flavors with some that I already know. Hmmmm….not that easy this time! 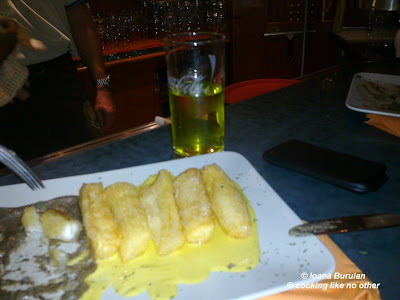 In the background you can see also my glass of Inca Kola. I’ve never heard about this kola but I have to admit that I like it. I made some research about it and it’s a soft drink created in Peru in 1935 by British immigrant José Robinson Lindley using lemon verbena. It’s a “kola” because of the joint venture between the Coca-Cola Company and the Lindley family, former sole owners of Corporación Inca Kola Perú S.A. and Corporación José R. Lindley S.A. The soda has an unusual sweet fruity flavor sometimes compared to liquid bubblegum. Do you know the flavor of the Hungarian round bubblegum? It’s exactly the same flavor. You have to try it by yourself ! 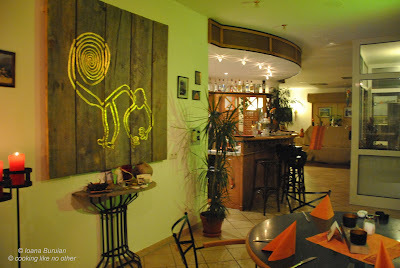 Wanna take a look on the menu? 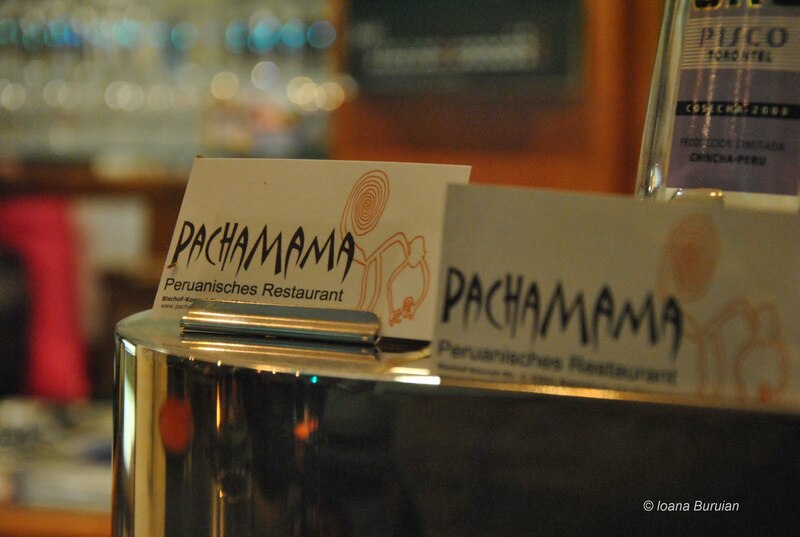 Wanna know the story of Mr. Pappenheimer or the story of Pachamama restaurant? I have the solution! 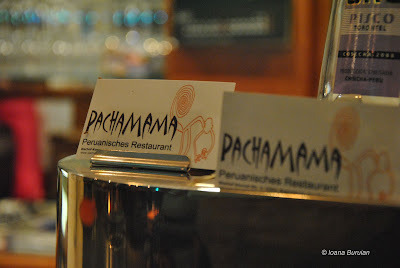 The site is in German but Google is able to translate you enough to understand the fascination of Mr. Pappenheimer for Peru and the passion for the Peruvian kitchen.